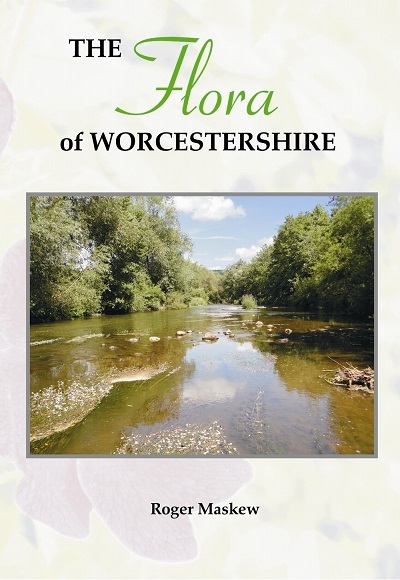 The Flora of Worcestershire is the first comprehensive account of the flora of the county since The Botany of Worcestershire by Amphlett and Rea in 1909. The Flora is the result of over twenty years of recording by a team of local botanists as well as extensive literature and herbarium research which has uncovered much previously unpublished historical information. The area covered is the present-day administrative county, plus additional areas in neighbouring counties which are included in the vice-county of Worcestershire. It thus includes a sizeable area of South Birmingham and part of the Black Country. Although a small county (596 tetrads) Worcestershire has a very varied geology and an associated diverse range of habitats which cover the built-up areas and the sandstone heaths in the north, the river valleys of the Avon, Severn and Teme, the limestone hills of the south-east and the Malvern hills and commons in the south-west. It also includes a large part of the Wye Forest which has a rich flora and many rare species on the edge of their range. Based on some 650,000 records the species accounts cover 600 pages and include over 2,400 species. Full details of habitat, frequency and distribution, temporal changes and history are given for the less common and declining species and information on local variation and infraspecific taxa (sub-species, varieties etc.) is included. The special attention given to the critical plant groups and the alien flora is a major feature of the accounts. The publication is the most thorough and extensive undertaken by any natural history, conservation or closely associated body in the county and will be of interest to everyone with a regard for Worcestershire's countryside as well as providing important details of its flora for botanists, conservationists, students and town and country planners alike.